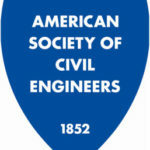 ASCE’s election of Society-level officers for President-Elect, Region Director, Region Governor, and Technical Region Director will be held from May 1 through June 1 via online balloting. All members in good standing at the grade of associate or above as of March 15, 2016, will be eligible to vote. This year, there are contested races for President-Elect, Region 2 Director, Region 6 Director, and Region 10 Director. The ballot will also include a Constitutional Amendment to change the term of the At-Large Director from two years to three years. 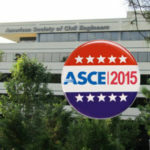 ASCE strongly encourages every eligible member to vote to make your voice heard and to help shape the profession’s future. 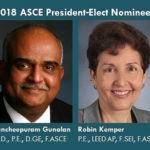 The official nominees for 2017 ASCE President-Elect, as selected by the Society’s Board of Direction Nominating Committee, are Robin A. Kemper, P.E., LEED AP, F.SEI, F.ASCE, a senior risk engineering consultant for Zurich Services Corp. in New York, and Kristina L. Swallow, P.E., ENV SP, F.ASCE, program manager for the city of Las Vegas. 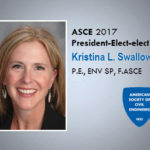 The 2017 ASCE President-Elect will be installed into office in September at the 2016 ASCE Convention in Portland, OR, then will advance to 2018 ASCE President the following year. To learn how you can participate in the election, learn the rules on voting, as well as to read official nominee profiles, visit our ASCE Society Election page. Voters with a valid email address on file as of March 15 will receive an email with their unique election voting credentials on May 1. The voting credentials differ from those used to access the ASCE members-only site and are generated by the election vendor to provide an additional level of security. Eligible voters who do not have an email address on file will receive a letter from the election vendor with their voting credentials and information on accessing the ballot. 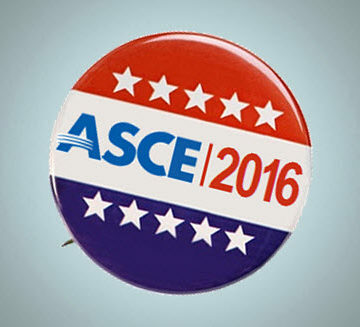 Contact ASCE Customer Service at 800-548-2723 if you do not receive your election credentials or to request a paper ballot. As a New Zealand member I do not know any one and wish all participants the best of luck for their efforts.